Holi, a festival of colors, is a spring festival celebrated in India and Nepal. It is celebrated to rejoice the victory of good over evil, the arrival of spring and as a Thanksgiving for a good harvest. It lasts for two days starting on full moon day somewhere between February and March. The first day is known as ‘Holika Dahan’ and the second day as ‘Rangwali Holi’. Holi is celebrated based on the story of Krishna and Radha as well as on Krishna's playful splashing of the maids with water, but most of all it celebrates the coming of spring with all its beautiful colors and vibrant life. Holi is a time to reach out with the colors of joy. It is the time to love and forgive. It is the time which expresses the happiness of being loved and to be loved through colors.Holi is a special time of year to remember those who are close to our hearts with splashing colors! 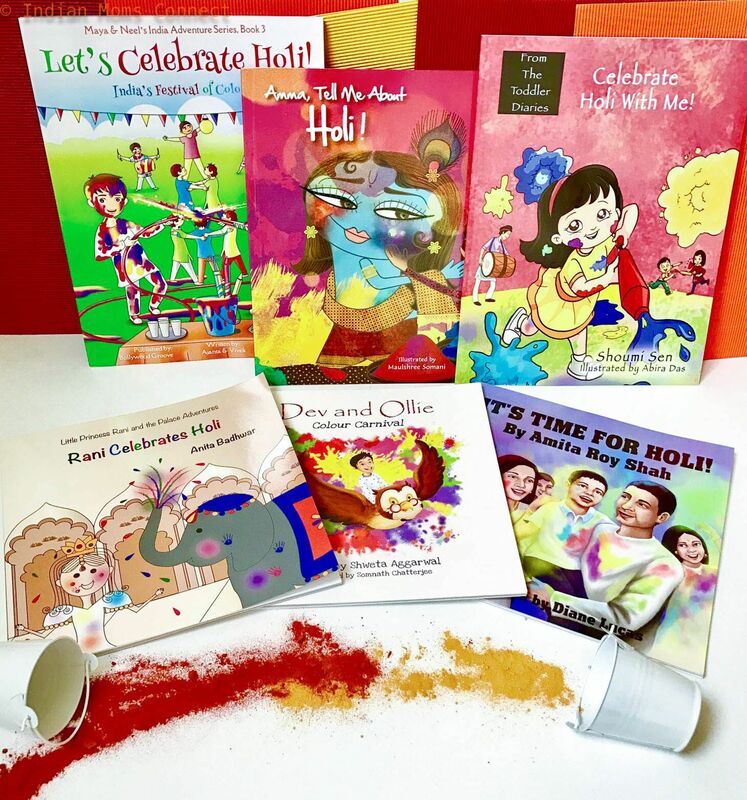 Author Shoumi Sen brings out this ancient story in her book to go along with all the fun elements of Holi, which will appeal to most kids. She uses a lot of Hindi words like – abeer, gulal, pichkari to name a few. This made the reading more fun. Plus the book is so colorful, any child will love it. 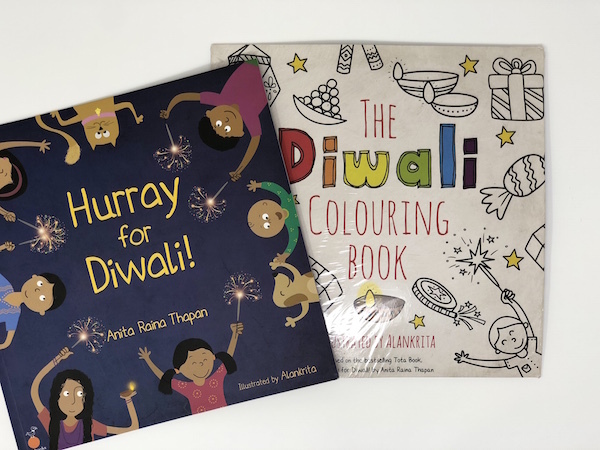 The author Anita Badhwar talks about why she decided to be a children's book writer, her self-published book series Little Princess Rani and the Palace Adventures, her latest book Rani Celebrates Holi and her plans for the next book. Listen in to our 'Direct Dil Se' with Anita Badhwar! Holi is just around the corner. Last year, we celebrated Holi for the first time in my time here in the US. The local Indian Association has gulal and Chana Batoora - we could not say no! My daughter loved playing Holi. She was fascinated by the colors and the fact that you were allowed to be so messy. 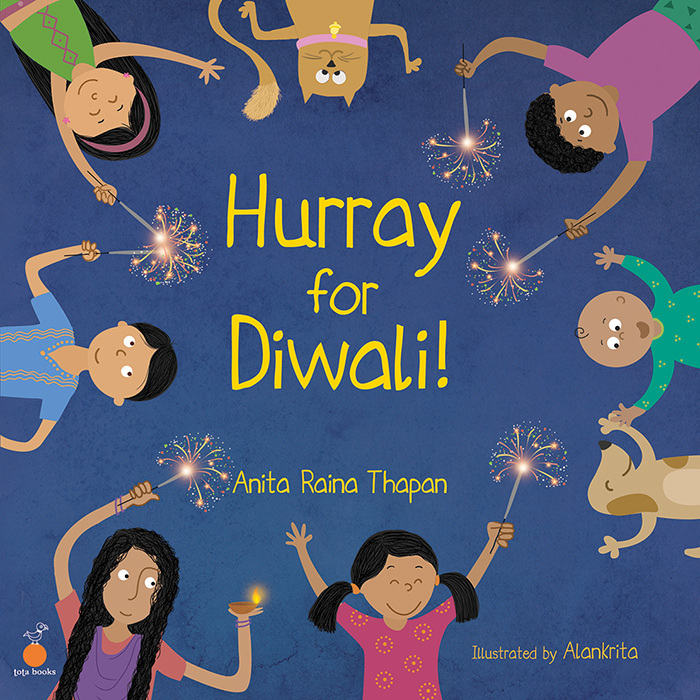 When we received Rani Celebrates Holi by Anita Badhwar, the latest in the series Little Princess Rani and the Palace Adventures, I was excited to read it to my daughter. 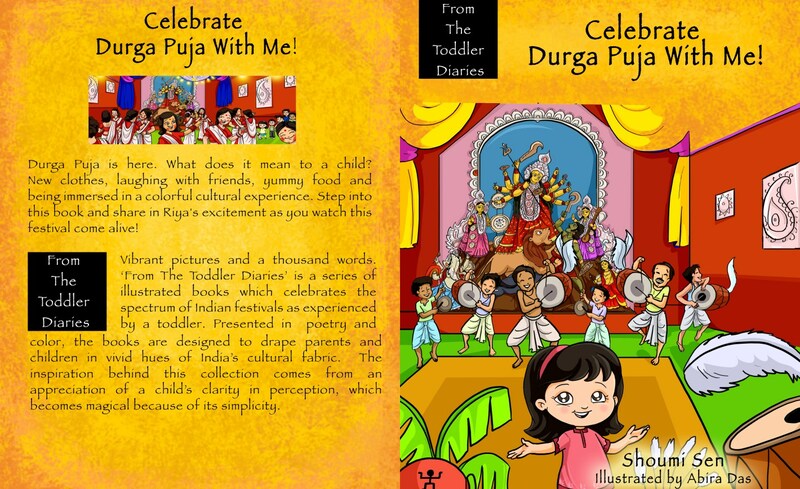 My daughter loved the story, especially because she had experienced celebrating the festival. Don't we all love to see our experiences reflected in a book? Rani is an Indian Princess, of course, with a pet parrot Hari and an elephant called Bindi. Everyone is excited to play Holi except Bindi, the elephant because she hates to get messy. I really liked that take on Holi. How Bindi gets convinced to participate and ends up enjoying Holi is what the story is about. My daughter was happy to see everyone was cleaned up in the end, which I would imagine most kids would worry about, at least mine does. There are smatterings of Hindi in the book - the colors laal, neela etc. and words like gulaal and pichkaaris seamlessly as part of the story such that the kid learns those words. The illustrations are clean-lined and simple and nicely complement the story. If you are going to celebrate Holi this year, do get this book! Your kid will love to see her experience mirrored in a book. 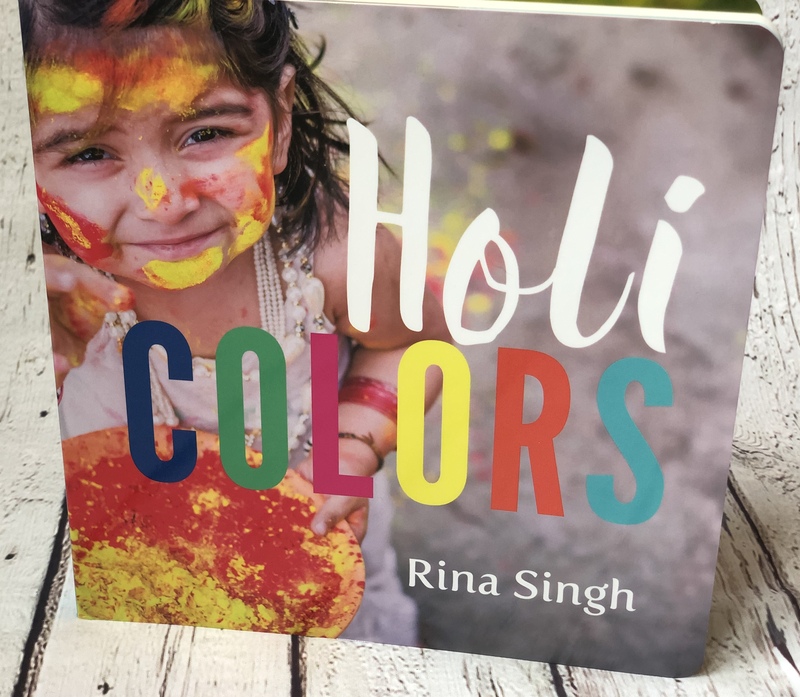 A beautiful board book that gives your little one a vicarious front-row seat to a Holi celebration, Holi Colors is filled with stunning photographs and words that will move you and strengthen your bond with your baby on this festive and colorful occasion. The board book is so vibrant, fun and can also be used to teach colors. This book is part of our Toka Peanut Box for February 2019! The box comes with a curated, age-appropriate activity. Rani is an Indian Princess with a pet parrot Hari and an elephant called Bindi. Everyone is excited to play Holi except Bindi the elephant because she hates to get messy. How Bindi gets convinced to participate and ends up enjoying Holi is what the story is about. We spoke to Author Anita Badhwar earlier. Enjoy this lovely read-aloud from the author of the book Shweta Aggarwal. Dev is a curious young boy who doesn’t like messy games like muddy puddles, playing in sand or painting expect for football. Ollie, Dev’s magical night owl wants to show him a new world of color, how Holi is celebrated and how these messy games can be fun. So they both start their journey one night to the beautiful land of Delhi. However, instead of landing in Delhi, they crash-land in Agra. But Holi is celebrated all over India, so they both start to explore Agra and they bump into kids playing color balloons. So did Dev like Holi? Did he start to enjoy all messy and mucky games? 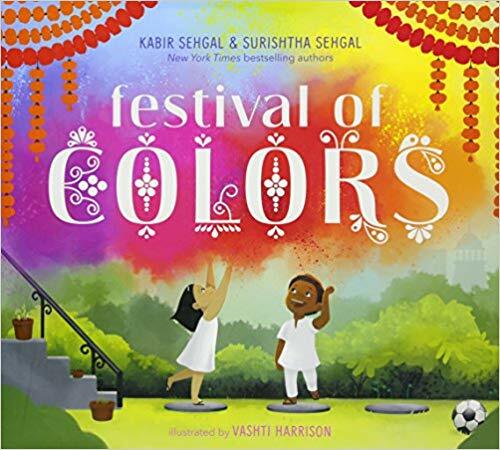 This book brings us Holi through the eyes of two kids, Maya and Neel, (accompanied by their pet Chintu) who visit their cousin Ameya in India, just in time for Holi. They are all set to turn their pristine white clothes into souvenirs of celebrations. Starting off with the story of Prahlad and Holika, the author moves on to explain why and how the festival was celebrated initially and the gradual changes made to the celebration over a period of time. Maya and Neel understand the concept of Holi by witnessing sequential customs, reading books and through friendly interactions/inquiries. After imbibing all they could about the much-awaited festival, Maya and Neel stride to the market and equip themselves with ‘gulaal’, ‘pichkari’ and balloons to enjoy with friends and complete strangers too. Of course “Everyone is your friend on the day of Holi”. ‘Gujia’ and ‘Thandai’ during ‘Holi Milan’ in the presence of the enchanting moon- Oh mouth-watering!! Klaka loves listening to stories told by his Amma. Amma tells him about the "biggest party of the year" where you can be naughty as you want. Why do we color each other for Holi? Amma tells Klaka the story of Krishna and Radha. It is followed by Holika Dahan and how Holi gets its name and the story of Prahald and Hrihanyakashipu. A perfect introduction to all things Holi from our favorite Amma Tell Me Series. Winter is when everything is white from the white, white snow. When spring is near red roses bloom, blue birds sing and green grass grows. And we celebrate the arrival of spring and of color with Holi celebrations with friends and family. A simple story from the eyes of an Indian American boy and his Holi celebrations.